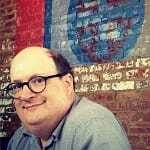 Jared M. Spool is the founder of User Interface Engineering and a co-founder of Center Centre. If you’ve ever seen Jared speak about user experience design, you know that he’s probably the most effective and knowledgeable communicator on the subject today. He’s been working in the field of usability and experience design since 1978, before the term "usability" was ever associated with computers. Jared spends his time working with the research teams at the User Interface Engineering, helps clients understand how to solve their design problems, explains to reporters and industry analysts what the current state of design is all about, and is a top-rated speaker at more than 20 conferences every year. With Dr. Leslie Jensen-Inman, he is starting a new school in Chattanooga, TN to create the next generation of industry-ready UX Designers. Earlier this year, the school, under the nickname of the Unicorn Institute, launched a Kickstarter project that successfully raised more that 600% of its initial goal. He is also the conference chair and keynote speaker at the annual UI Conference and UX Immersion Conference, and manages to squeeze in a fair amount of writing time. He is author of the book, Web Usability: A Designer’s Guide and co-author of Web Anatomy: Interaction Design Frameworks that Work. You can find his writing at uie.com and follow his adventures on the twitters at @jmspool.